Charlie Coyle can’t quite remember what game it was last year, but he does recall what he thought to himself on the Minnesota Wild bench when an opposing player corralled a breakaway pass and teammate Ryan Suter began to take up the chase. Normally, watching an opponent speeding all alone towards your net is hardly cause for optimism. On this night, however, Coyle, watching the drama unfold right in front of him, had little doubt as to what the eventual outcome would be. The reason for his positive outlook? No. 20. “Every day, during the game, or if I’m watching film, I’ll rewind it to see just how fast Ryan is,” said Coyle. “It’s amazing. There was a play last season where a guy was on a breakaway and I just remember sitting there thinking, ‘Here comes Ryan. He’ll catch him.’ And he did. It doesn’t look like he’s going fast, but he is." For nearly 850 NHL regular season games – seven years in Nashville and the past five in Minnesota – plays that like that have been the norm for the 31-year-old defenceman, who has been the poster player for consistency at hockey’s highest level. 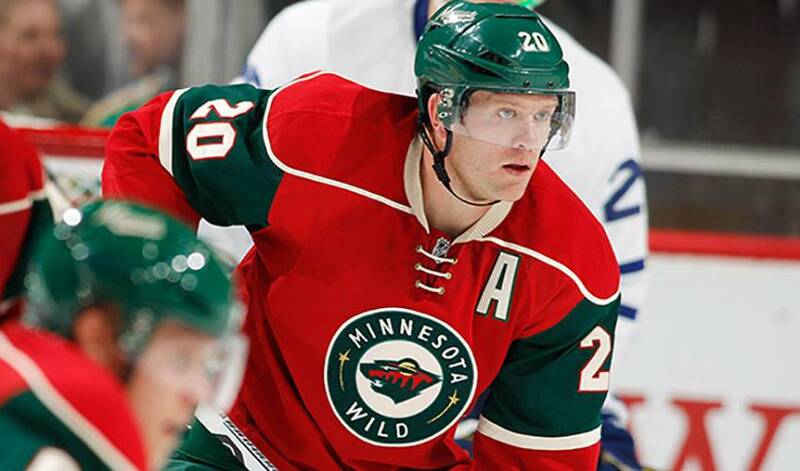 Durable and dependable, Suter logs big minutes (averaging 24:47 per game over his career, 28:40 with the Wild) and is regularly tasked with taking on the other team’s top players. His efforts don’t get unnoticed. But, it’s not just what he does on the ice that has earned Suter the respect and admiration of his teammates. Excitable and brash he is not. What the alternate captain happens to be, however, is a lead-by-example type and ideal mentor. “He’s a quiet guy,” noted Coyle. “He’s not one to yell or be loud. He’s mellow. He’s someone you can learn from every day. We have a young D-corps, but it’s easy for those guys to respect him and what he represents. Suter, who hails from Madison, Wisconsin, is off to one of the best starts of his NHL career, playing at an almost point-per-game clip. He also has a plus/minus rating of plus-5, hardly a surprise considering he’s had just one season where he’s registered a negative number. Par for the course, said Coyle. It’s also a fortunate position for Suter’s teammates, whether rookies or veterans, to be in.